Supermarket giant Tesco is facing what could be the largest equal pay challenge in UK history after law firm Leigh Day announced legal proceedings against the company. If successful, the lawyers estimate it could cost Tesco as much as £4bn to compensate workers. In June 2016 the employment tribunal found that lower paid female workers at Tesco’s rival Asda could compare themselves to higher paid men who work in distribution centres. Lawyers, who say they have already been approached by more than 1,000 employees and ex-employees at Tesco, are making the same argument as the Asda case and another case against Sainsbury’s. 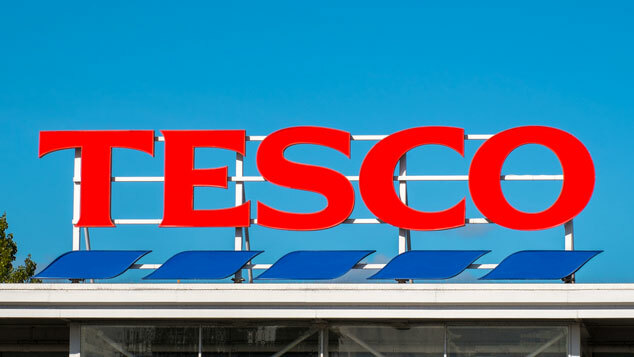 The Tesco equal pay claim focuses on employees working in male-dominated distribution centres being paid considerably more than the largely female-staffed Tesco stores. Warehouse employees sometimes earn in excess of £11 an hour while the most common wage for store staff is £8 per hour. This disparity could see a full-time distribution worker earning £5,000 more per year than store staff on the same hours. According to Leigh Day, the underpayment of workers could apply to in excess of 200,000 Tesco employees, with estimated pay shortfalls that could reach £20,000. The final bill for Tesco could be as high as £4bn. Paula Lee, from the employment team at Leigh Day, said: “We believe an inherent bias has allowed store workers to be underpaid for many years. Lee said the huge sums being paid to the company’s management team were deeply at odds with those in store, who just want to be paid at the same rate as their male counterparts in other similar areas of the business. “In the week where we have marked the 100-year anniversary since women began to get the vote, the time has come for companies and public organisations to have a long, hard look at themselves, to see the inequality which is still deeply entrenched in their organisations,” she added. Tesco said that all its staff were paid fairly, whatever their gender or background. “We are unable to comment on a claim that we have not received,” a spokeswoman said. None of the UK major supermarkets have reported their gender pay gap information as yet. They have until 4 April to do so. How can it be a gender pay gap when the men working in supermarkets, shelf stacking and on checkouts get the same as the women do? Its not a gender pay gap claim… its an equal pay claim. They should not get more…..it comes in a terrible state. We have to unpack it….and go on checkouts too….doing 2/3 jobs….. This is a equal pay claim. Shop-floor employees deserve to be paid as highly as distribution workers because they work as hard, if not harder!